I made this quiche for a rainy Sunday lunch. 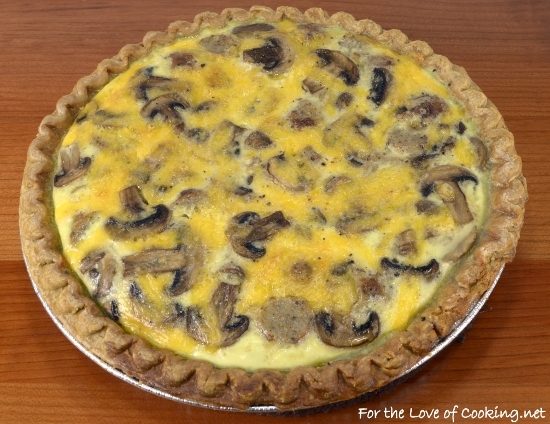 This quiche was extra quick and easy to make because I used a frozen pie crust and ingredients that I already had on hand. This time, my husband requested sausage, mushroom, and cheddar. The quiche smelled terrific while it baked and tasted wonderful. 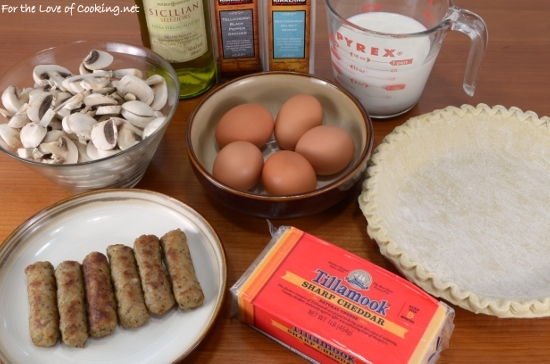 I loved the flavor combination of sausage with the mushrooms and cheddar always pairs nicely with eggs. 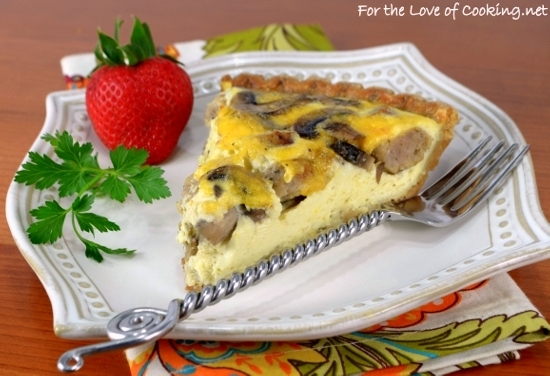 This sausage, mushroom, and cheddar quiche was the perfect lunch for a lazy Sunday afternoon. Spray a piece of tin foil with a bit of cooking spray then press it gently on top of the frozen pie crust and place into the oven to bake for 10 minutes. Remove the foil and continue to bake for 3-5 minutes. Remove from the oven. Place the tin foil on the bottom of a baking sheet. Place the pie crust on top. Cook the sausage links in a skillet over medium heat until just cooked and browned on the outside, they will finish in the oven. 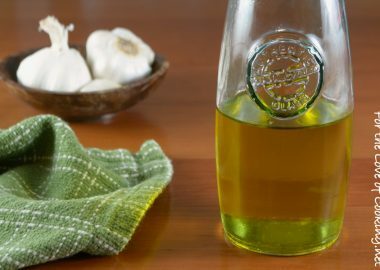 Place on a paper towel to drain grease then cut into bites. Remove the sausage grease from the pan and add the olive oil. Once the pan is hot, add the mushrooms. 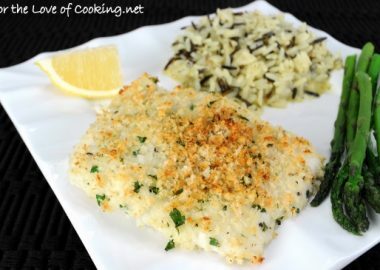 Cook without stirring for 2 minutes then stir and continue cooking for a minute or two. Remove from the heat. Season with sea salt and freshly cracked pepper, to taste. Combine the eggs, milk, sea salt, and freshly cracked pepper, to taste, together in a bowl and whisk until very well combined. 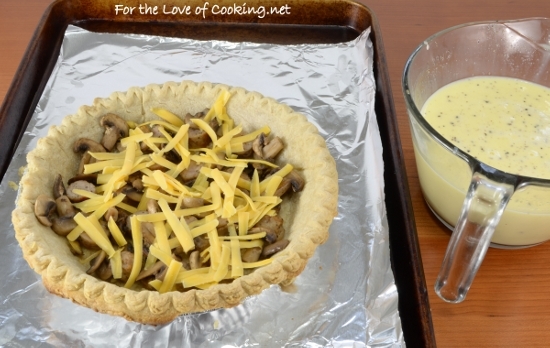 Sprinkle most of the pieces of sausage in the bottom of the pie crust followed by most of the mushrooms and cheese. Add the well whisked egg mixture. Sprinkle the remaining sausage, mushrooms, and cheese on top. 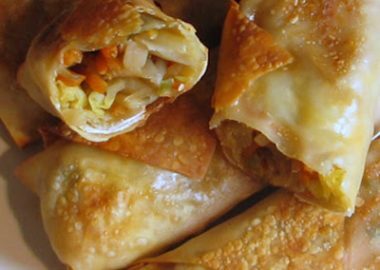 Carefully place into the oven and bake for 30-35 minutes, or until the top is set and not wiggly and the eggs are cooked through. Don’t overcook! Combine the eggs, milk, sea salt, and freshly cracked pepper, to taste, together in a bowl and whisk until very well combined. 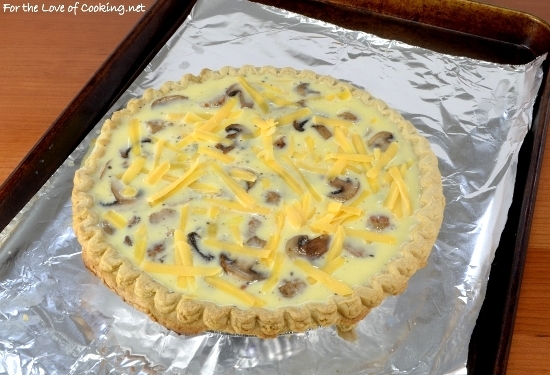 Sprinkle most of the pieces of sausage in the bottom of the pie crust followed by most of the mushrooms and cheese. Add the well whisked egg mixture. Sprinkle the remaining sausage, mushrooms, and cheese on top. I was going to make a quiche the other day but then used up the eggs for other things. I’ll have to put it back on the menu. 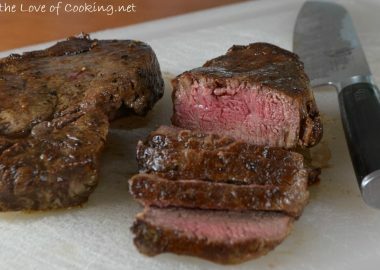 I love how easy and delicious it is! 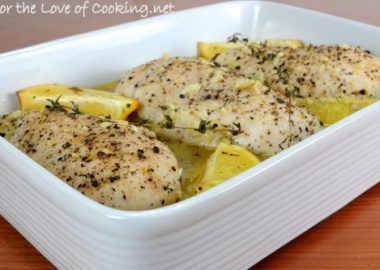 I think that my husband will enjoy if i do this dish for him. Thanks your post! Perfect and absolutely delicious combination Pam!! 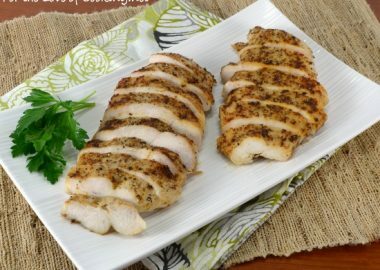 Great and filling lunch or dinner! I love cooking whatever is in the fridge. One of my favorite foods – quiche. Your recipe is great with the addition of sausage and mushrooms. I love the combo of flavours! 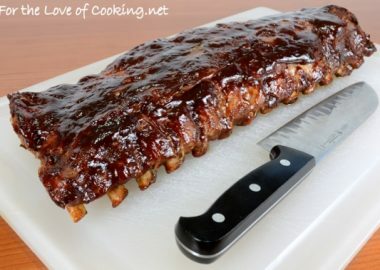 This would make a great Easter lunch buffet addition.